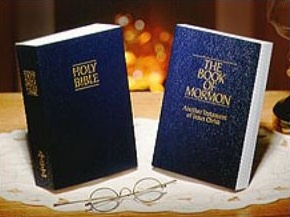 American Testament: The Book of Mormon: FAIR Conference 2009!! It is that special time of year again when pseudo-scholarly apologist hacks gather together in Sandy, Utah to participate in the Mormon Apologetics Conference sponsored by the Foundation for Apologetic Information and Research. This year there is a killer line up of scholars and LDS apologists who will be speaking on subjects ranging from the translation of the Book of Mormon, plural marriage, the Book of Abraham, the Kirtland Safety Society and the Temple. Speakers include Dr. Daniel C. Peterson, Dr. John Gee, Matthew B. Brown, Greg Smith and Brant Gardner. 1. Brant Gardner speaking on the translation method of the Book of Mormon. 2. Wade Miller discussing what current science says about the Book of Mormon. 3. Ugo Perego on DNA and the Book of Mormon. This conference is a wonderful opportunity for those who have questions, are struggling with dealing with anti-Mormon accusations, want to learn more about LDS apologetics or just want to have fun and hang out with a bunch of nerds. Come and meet some swell folks, including yours truly who will be taking notes and posting them here, and browse the gargantuan FAIR bookstore. Note also for those who cannot attend that the conference is being live streamed from the internet. For more information, see the link posted above.